And she completes the set. Oh, look at that little black button nose. So cute! Don't look so sad, sweetie! You are at the best foster home ever! Auntie Bean will lick that frown away. That little brown nose...it kills me! You have won the kitten lottery, just wait 'til you meet Miss Charlene! Oh my, what a little princess. Beautiful. Hello Bess, how very nice to meet you. I cannot wait to get to know you better :) I already know that you are beautiful! Lookit the brown nosie! And she might end up being a floofball too. It's hard to tell sometimes. 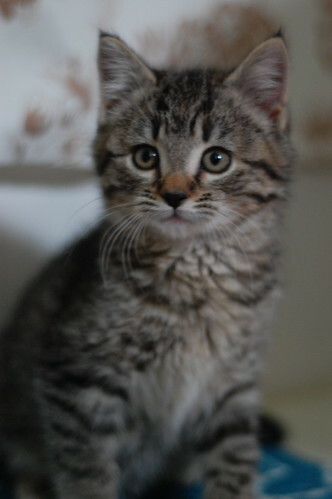 Ohhh...how I SOOO want a little brown tabby with a little brown nose. She is perfect! So nice to come home to a new IBKC little bunch of kitties! Such a fluffy bunch! I just want to hug them all! Awwww, she's a baby version of my Zellie, complete with cinnamon-colored nose-nose. 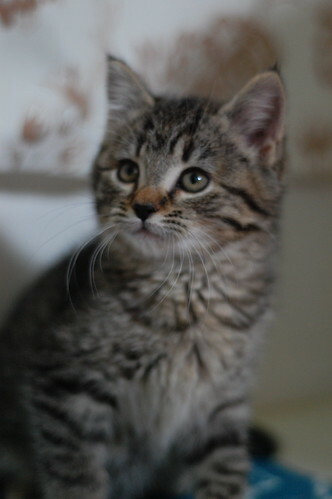 So, out of two Tacoma kitten blogs, yours and Sue's, we have 5 tabbies and 2 torbies right now! Isn't that a lot of T's... and cute?! I love the black ear tips! She's like a little lynx. I love her markings...the nose and the ears...egads she's darling. Good gracious! 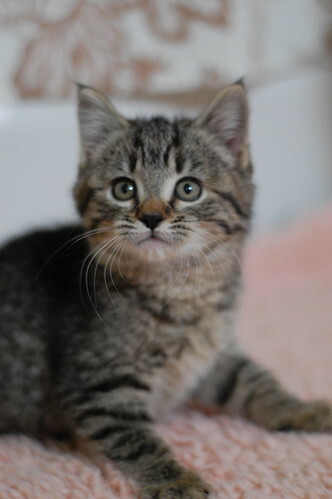 An eyeliner kitten, with tufts on her ears, a dark nose, and just the right amount of floof? I might just faint! She is adorable! Absolutely adorable! I never thought I'd say this about a cat, but my goodness those eyelashes! What a pretty girl she is! I love her nose! She looks very serious. I think she's the older sister. Copper nosed kitteh! I am in love. Hello, Brown Bess! What delicate markings and shading you have! She is so adorable. I like her nose. This kitty has a very great look. I like her nose so much. Absolutely adorable.